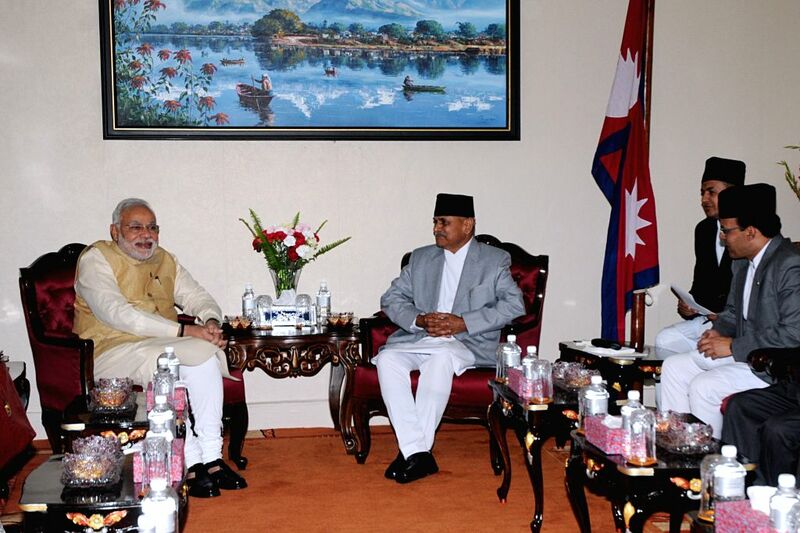 Prime Minister Narendra Modi with President of Nepal, Dr. Ram Baran Yadav during a meeting in Kathmandu, Nepal on August 04, 2014. Nepal's President Ram Baran Yadav (R) shakes hands with visiting Indian Prime Minister Narendra Modi at President's office at Shital Niwas in Kathmandu, Nepal, Aug. 4, 2014. Indian Prime Minister Narendra Modi arrived here Sunday for a two-day state visit at the invitation of his Nepalese counterpart Sushil Koirala. 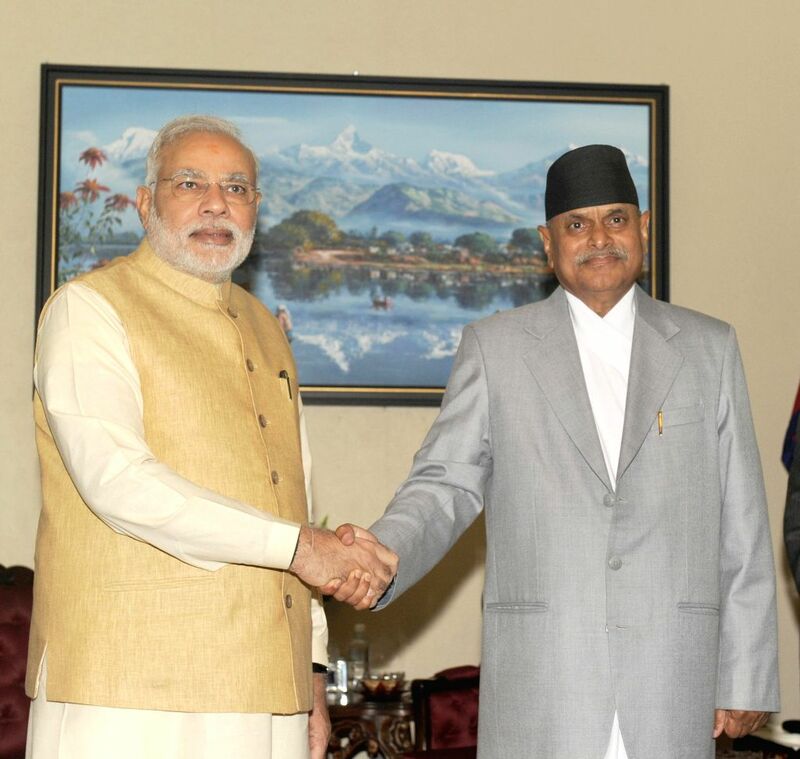 Modi's visit was the first by an Indian premier for bilateral talks since Inder Kumar Gujral visited Nepal as Indian prime minister in 1997. 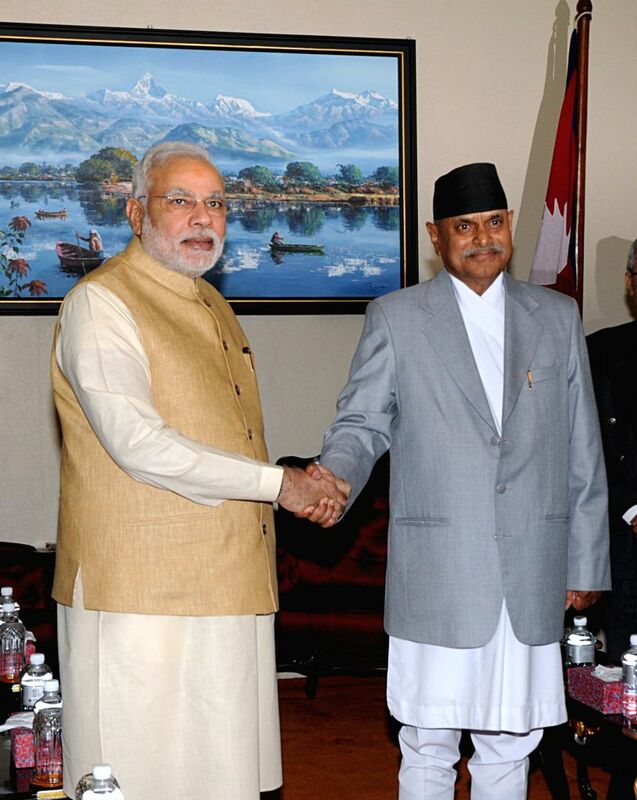 Nepal's President Ram Baran Yadav (2nd L) meets with visiting Indian Prime Minister Narendra Modi (L) at President's office at Shital Niwas in Kathmandu, Nepal, Aug. 4, 2014.